Kiwa Building Products is excited to be exhibiting at the NIA (National Insulation Association) Annual Conference at Jury’s Inn, Leicester on Thursday 6 December. Kiwa Watertec’s approval scheme demonstrates compliance with the Water Supply (Water Fittings) Regulations 1999 for sanitary and plumbing products and components. Kiwa Gastec has announced a collaboration with the Energy Saving Trust (EST) on the delivery of the Mayor of London’s Cleaner Heat Cashback Scheme. Kiwa have released a statement in memoriam of much loved colleague Alan Thomas, who recently passed away. 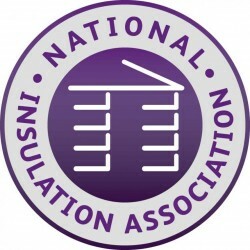 Kiwa BDA has announced it has renewed its membership with the National Insulation Association (NIA).